Squad numbers and positions have no effect in the games. They are used only for easier squad selection and team management. Supporters can add these on Players screen. 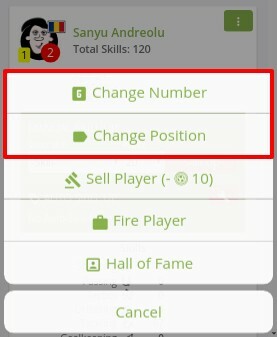 Select position or number and confirm.